How magnificent is this pair of copper antelope bookends, showing the creatures' splendid horns spiralling skywards. 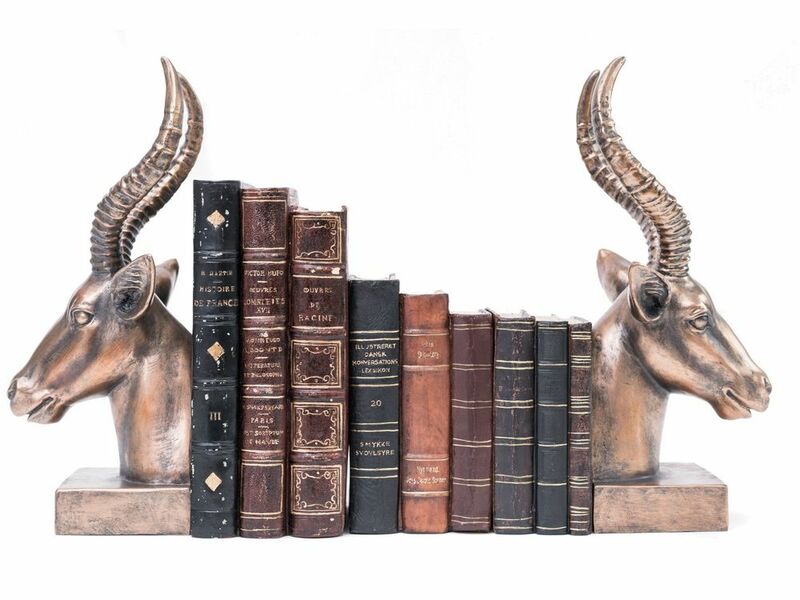 Made from resin with a worn copper finish, these antelope bookends have a lovely traditional, aged look that gives them character and depth. The warm metallic tone captures light to create a cosy, relaxing ambience in rooms. The chunky base of these copper bookends makes them ideal for safely keeping heavy books upright. Merging style with practicality, they make the perfect finishing touch to rooms.